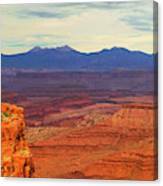 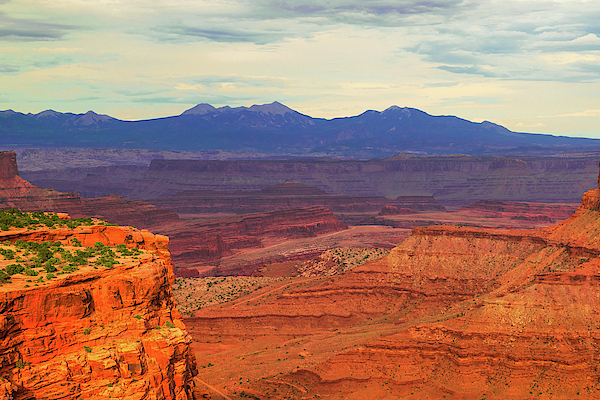 A magnificent view from the Island in the Sky section of Canyonlands National Park near Moab, Utah. The landscape of Utah is so diverse and beautiful. 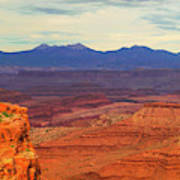 This view shows the erosive action of time on the sandstone rock with a maze of canyons and snow-capped mountains in the background.